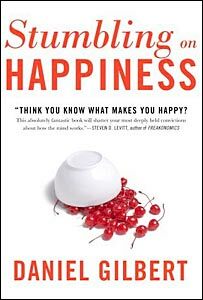 I've been reading Stumbling on Happiness. I won't review the book, but merely apply some of its observations to entrepreneurship. Finding #1: Control, rather than outcomes, is key to happiness. Corollary #1: To be happy, be an entrepreneur. Finding #2: We are happier with irreversible decisions than reversible ones. Corollary #2: When applying Corollary #1, do it boldly.